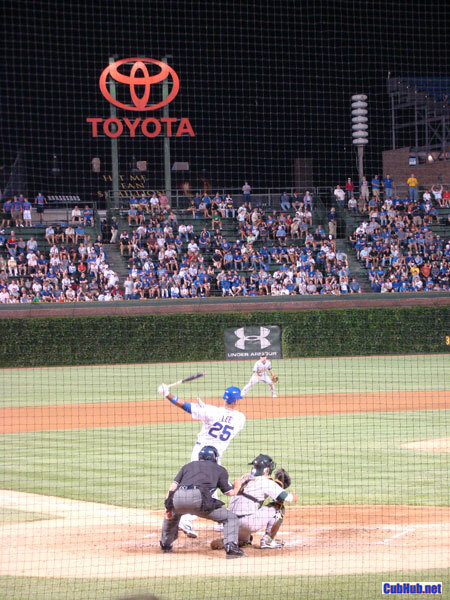 The Cubs having traded fan favorite Derrek Lee to the Atlanta Braves, it was strange to see him playing first base and batting cleanup for the visiting team on Friday at Wrigley Field. In his first at bat, Lee stepped to the plate to a rousing standing ovation, tipped his helmet to the crowd and promptly flied out. Class moves on the part of the Chicago fans and the subject of their admiration. 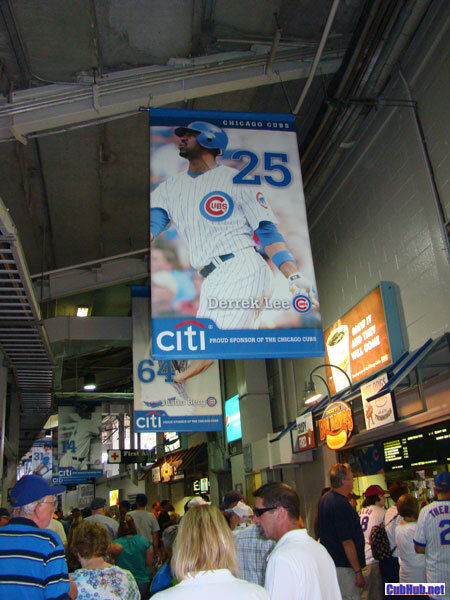 Derrek Lee’s Cubs banner still hangs in the main concourse at Wrigley, but not for long. With this season a total loss, GM Jim Hendry has been doing all he can to shed salary and gain some room to maneuver for 2011 and beyond. The casual fan bemoans the Lee trade but in reality it’s a good move for all involved. Derrek has the opportunity to compete for a playoff berth down the stretch and the Cubs gain some significant “salary relief”. Lee had about $3.2 million remaining in 2010 paydays and is an unrestricted free agent going into the off season. Retaining Lee to play out the stretch in Cubs pinstripes really has little baseball value. It was smart to unload those millions and get three prospects in return. The three minor leaguers in the deal (RHP Robinson Lopez and Tyrelle Harris, and LHP Jeffrey Lorick) are likely fringe prospects, all are in A- or AA- ball. So they will likely not see major league action for a few years. 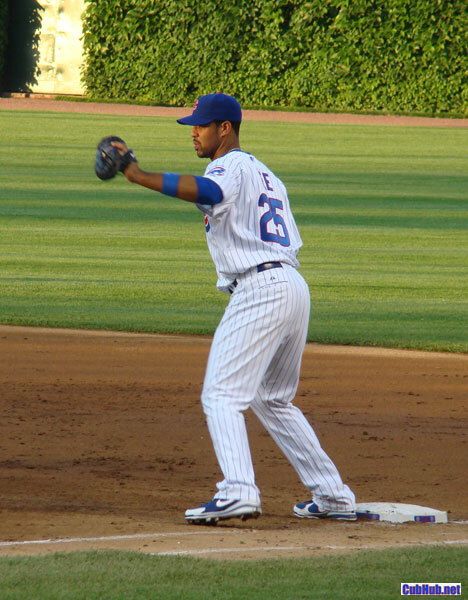 I think Derrek Lee will be missed (on the field) most by Aramis Ramirez. D-Lee took some of the spotlight off A-Ram both in terms of marketing focus but also in offensive production responsibilities. But his biggest value to Ramirez will likely be how many throwing errors Lee saved him. 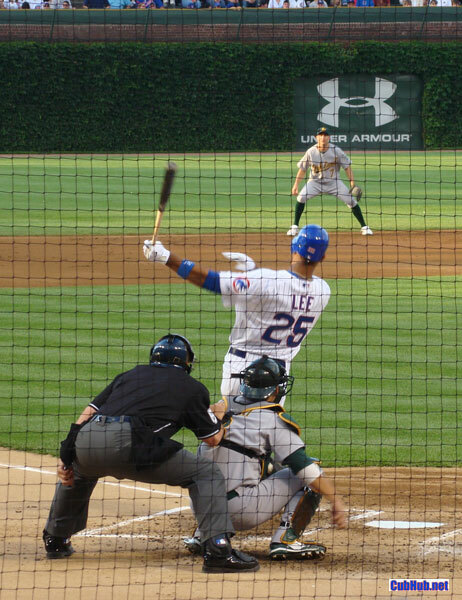 With his long reach and sure glove, I think Lee has not been given the credit deserved for stabilzing the Cubs third base position for the past 6 years. When Aramis came to the Cubs, he was considered a lousy fielder. He’s worked on his glove abilities but no doubt about Lee having saved him plenty of times on off target throws; high, low, and wide. 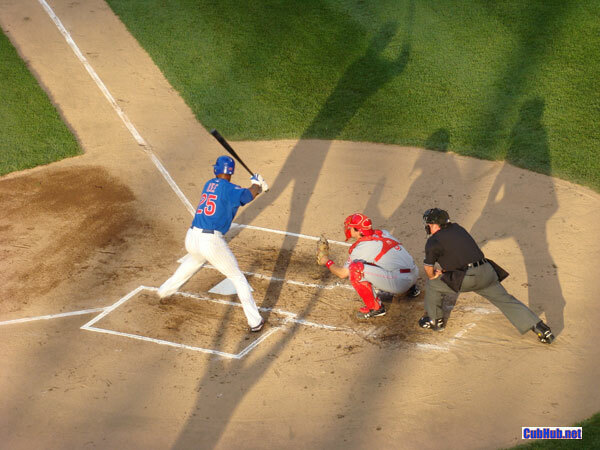 In his seven seasons as a Cub, Lee hit 179 Hrs, 11th most in franchise history. In 924 games with the Cubs, Lee batted .298 with 578 runs scored, 239 doubles and 574 RBI. His bat, his glove, his leadership, and his personality will surely be missed. But at 34 years old and going into a free agent year after a down offensive season, it was time. Lee was a great player but his best days are over. 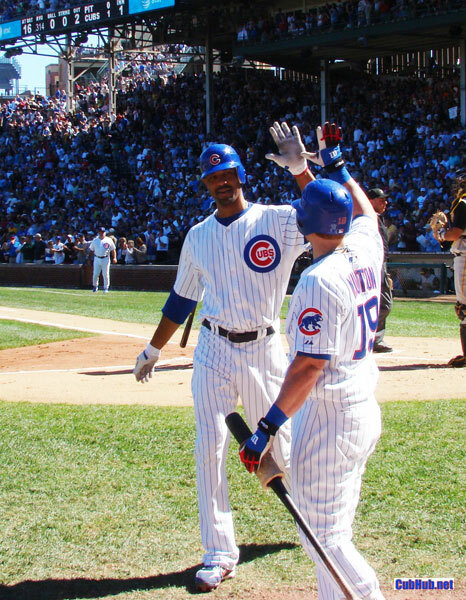 I will miss him in the Cubs lineup everyday but they have to move on, get younger. Maybe Colvin can play first?